Do you need a refresher on investing? Want to study up while socializing, networking and competing with other investors? Come to KREIA's Game Night. 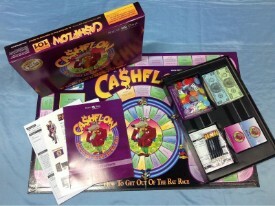 Investors are meeting on the third Thursday of the month to play CASHFLOW, an educational board game from Robert Kiyosaki (author of "Rich Dad, Poor Dad"). Come join us and get out of the Rat Race! The meetings are scheduled for the third Thursday of every month, starting at 6 p.m. You buy your own food and drink. The event is organized and hosted by Hampton Scurlock.